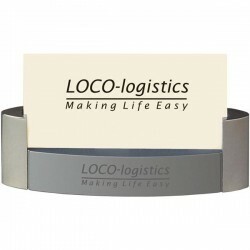 Branded business card holders draw attention with your customized corporate logo. 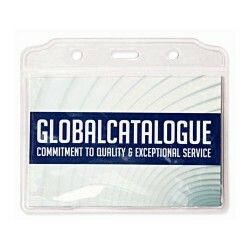 Whether meeting with a client or attending a conference; these custom printed business card holders come in handy. 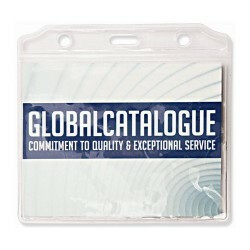 They are not only practical corporate products but also excellent marketing tools. 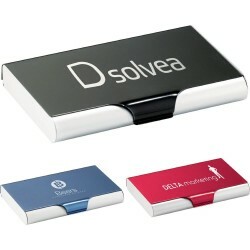 Promotional Product Experts collection boasts of brandable business card holders in stylish designs. 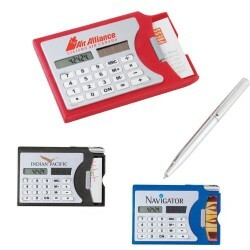 Printing your brand logo or name adds a professional touch to these items. 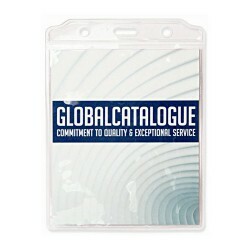 Be sure to check out our extensive collection for more choices. 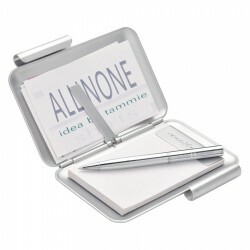 Aluminium business card holder with ballpoint pen. 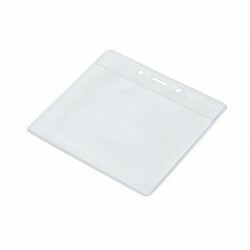 Once you open the product, one side has a notepad with 30 pcs of blank paper and on the other side there is space for ten business cards. 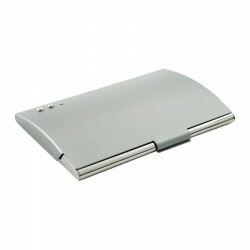 Stainless steel business card case with brushed finish. Boxed. 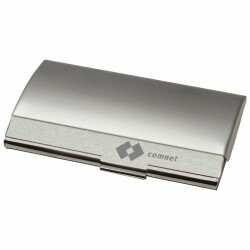 Premium quality chrome coated brass and leather case with magnetic closure. Boxed. 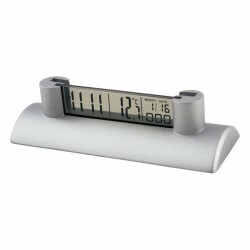 Business card holder with metal case, LCD display, time, temperature and calendar. Boxed. 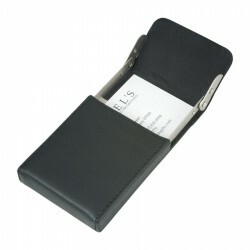 Leather look business card holder with easy opening slide function. Boxed. Smart all metal design. Boxed. 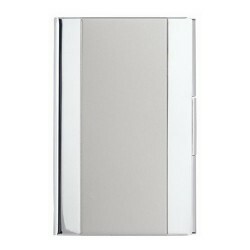 All metal satin chrome top, chrome button detail. Gift boxed. 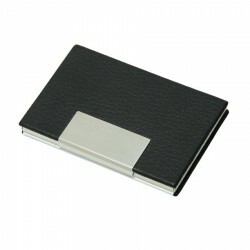 Business card holder with textured black pvc and metal trim. 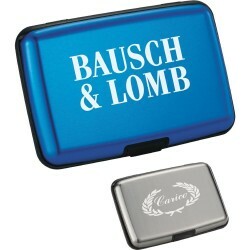 Holds 20 cards. For approximately 10 business cards. Metal. For approximately 10 business cards. Aluminium. 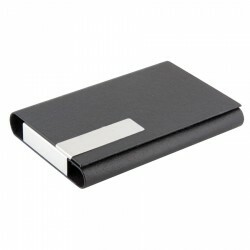 Lightweight compact card holder in leather look material with aluminium inlay. 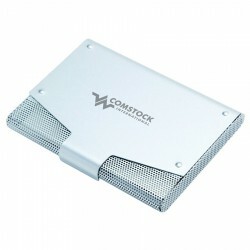 Ideal for laser engraving. Boxed. 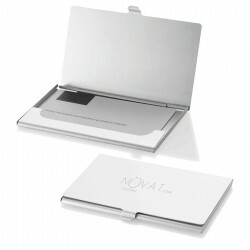 A4 note pad, Two business card pockets with inside pocket, The LUXE Edition embossed inside cover. Executive P.U. 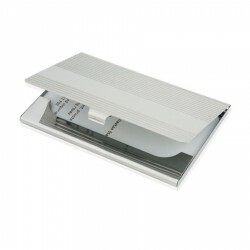 business card holder with metal hinged closure. 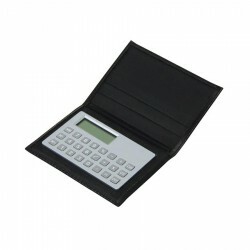 Made from soft-touch leather-look material Features: Features include zipper closure, pen loop, business card holders, 2 internal gusseted pockets and A4 lined pad which inserts from the top. Pen not included. Fits an iPad in the left side pocket. 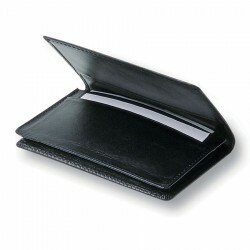 Unique flip top closure made from split leather with contrast stitching. Executive Style. Suede look material with top grain leather trim. 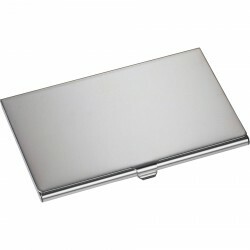 Executive style business card holder set in glass with metal features Features: Holds 21 business cards with velvet padded metal feet. 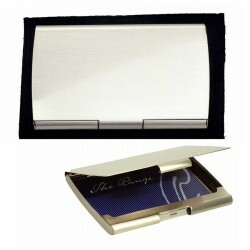 Business card holder made from blue imitation leather. In shiny nickel with carbon fibre inlay. 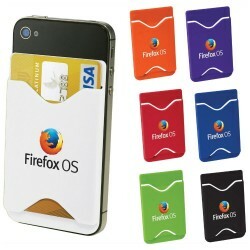 Features: Hold 25 business cards. 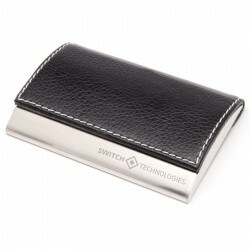 Executive Business Card Case Holds up to 20 business cards. Snap closure. 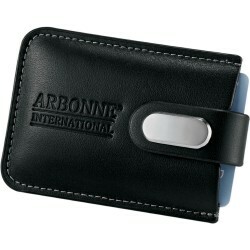 Holds one credit card/identification card or 5 business cards. 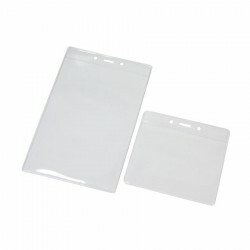 Adhesive tape on the back allows for easy application on most flat-backed smartphones. Media device not included. 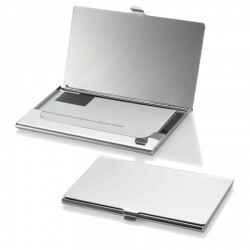 Large metal Laser Engraving/print area, Aluminium construction with leather-look finish. 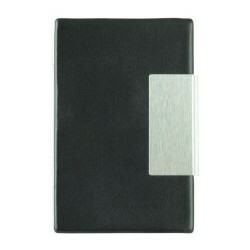 This well priced lightweight leather-look card holder will keep your cards in mint condition. 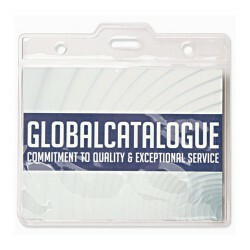 This is a card holder with style and quality. 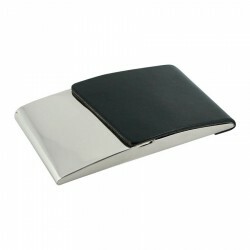 Features include: leather-look exterior with contrast stitching, magnetic closure and a brushed-chrome base to showcase your logo. 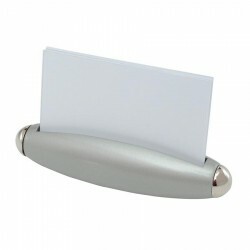 Ideal for the executive desk. Finished in satin chrome with chrome trim. 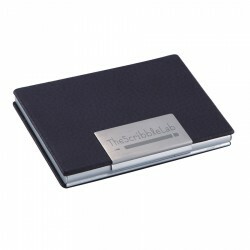 Liberty Card Holder ensures your business cards remain in mint condition while in your pocket. This stylish design is a fusion of old and new. 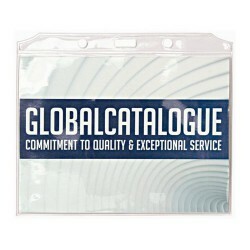 Supplied in a natural coloured gift box. 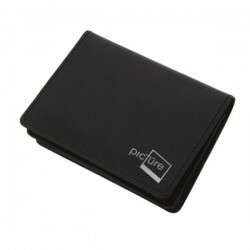 The Prestige Card Holder features a chic two tone curved design. 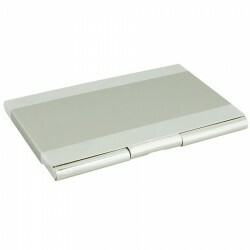 Constructed in solid metal and aluminium. 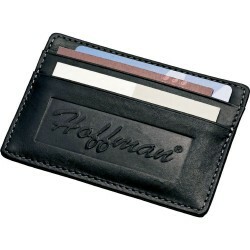 Featuring gusseted business card compartment, 3 internal credit card pockets and a handy external pocket. Packed in a black box. 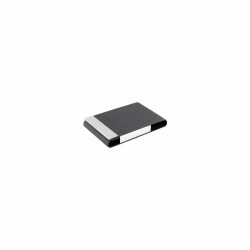 Product size is 7.5cm x 10.5cm wide. 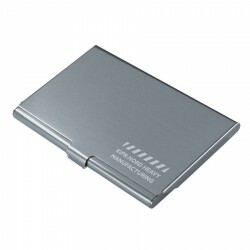 Lightweight and practical, this pocket card holder will be used for a lifetime. 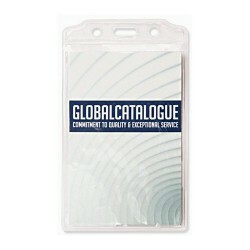 Made in Australia from quality acrylic, this phone stand is supplied flat packed for easy distribution and assembles in seconds. 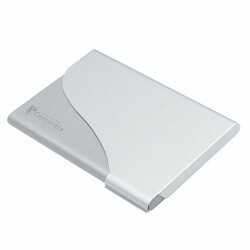 Holds cards in a horizontal position only. 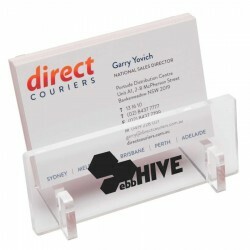 Clear case for business cards, with 5 colour noteflags - Pink, Orange, Yellow, Green & Blue (10 of each).